Dini was there in the beginning when The LIGHT laid down the foundations of the worlds and realms. Dini Reveals herself in the form of a woman. 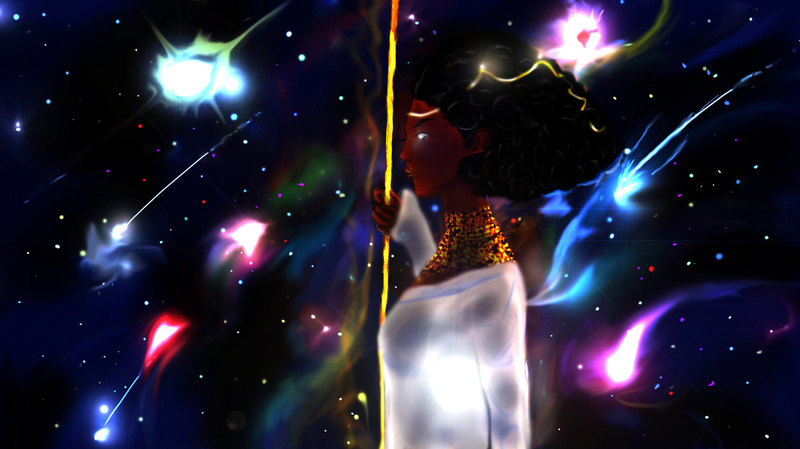 She is the guardian of the Celestial Gates of Time located in The Flows of Time, The Realm of The Spirit. Her words are sharper than a double-edged sword with a powerful sound of thunder.